Cpl. 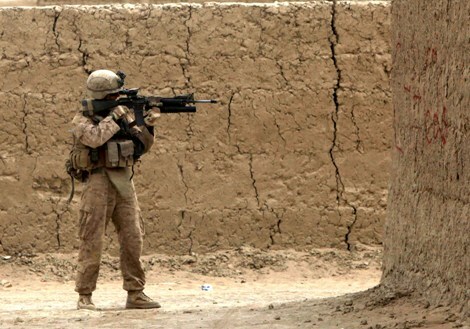 Kevin Long, a team leader with Lima Company, 3rd Battalion, 1st Marine Regiment, sights his rifle down a road during one of the first patrols through Safaar since the clearing of improvised explosive devices in the Safaar area of Garmsir District, Helmand province, Islamic Republic of Afghanistan, Aug. 10, 2010. Long is from Oakton, Va.